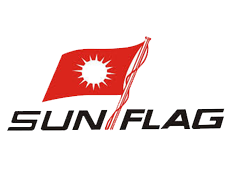 Sunflag (T) Ltd is the only versatile vertical integrated textile manufacturing facility based in Arusha - Tanzania. We are in operation since 1965 without fail or closedown and employing over 2,500 people from all walks of life and hugely depending on export market of EU, USA, SA DC AGOA and EAC countries. These are exciting opportunities for experienced candidates, and will attract good packages. Prospective candidates should furnish their educational & professional qualifications and a short resume; and must have 5- 10 years proven experience in the relevant field they apply.